I am e-mailing as I said I would to book another appointment for myself and my daughter. I would just like to say that you have given us both a whole new outlook on what Colon cleansing is all about. Our experience was one we will never forget and the way in which you made us both feel so at ease will always be remembered! I have even almost convinced my husband to have it done! He says maybe if I came with him for moral support. I will definitely recommend you to anyone who is interested in the procedure. I have recently visited Linda Booth for a course of Colon Hydrotherapy and the results have been fantastic. I have had bowel problems for a couple of years, but have always been scared of trying this procedure as I was slightly embarrassed about what it involved. I can honestly say it is nothing like you think. When I arrived, Linda talked me through the procedure and made me feel very much at ease. I felt absolutely no pain or discomfort during the procedure and my modesty was preserved at all times. The treatment room is the cleanest I have ever seen and I was kept informed about that was happening at all times. I have now finished the recommended course and the results have been amazing. I have more energy, feel less bloated and sluggish, and my skin is much clearer. I would highly recommend anyone thinking about this kind of treatment to contact Linda Booth. I have not spent the last few years living the most healthiest of lifestyles and realising that I was fast approaching the age of 32, I began to become more conscious of the 'bad habits' that I had formed over time. With Christmas 2007 reaching an end, it was time that I waved goodbye to the over-indulgent me. Colon Hydrotherapy was something that I had a curious interest in for some time; so after searching the internet for a local therapist, I came across ARCH (The Association & Register of Colon Hydrotherapists) and Linda Booth. After speaking with Linda I immediately felt relaxed and confident that I was in safe hands. She took a professional and friendly approach to my enquiry, explaining the process thoroughly to me and detailing all the health benefits from the procedure, so I promptly booked my first session. My first colonic was by no means a daunting experience. Linda put me in a relaxed state and I was not at all embarrassed or uncomfortable throughout the procedure; which lasted around 40 minutes. Afterwards I noticed an instant dramatic difference in my health and general outlook on life. The session was a complete success. I have now completed three colonics and two liver cleanses and feel great! I started having treatment from Linda 11 years ago. Linda has been the one who, through the years has helped me through the most painful and debilitating times. I have multiple illnesses and only by physical therapy/physiotherapy and the many treatments that I have from Linda am I able to manage to bear them. There is always a warm welcome to put you at ease, and the treatment room is exceptionally clean and very comfortable. Linda is a true professional and continues to go on many courses to make sure that she is up to date with the treatment that she gives people. I am a thoroughly satisfied client. I have been having physical therapy treatment from Linda for over 10 years, but recently (the last 18 months) I have been having colon hydrotherapy. Before my first colonic, Linda talked me through everything. She goes through a full detailed medical questionnaire with you and explains what is going to happen. 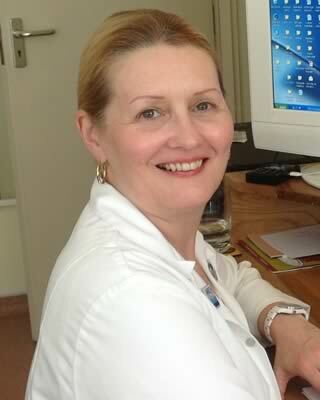 Linda's knowledge of the procedure is "second to none" and she is a true professional who puts you totally at ease. The treatment room and the instruments are very clean and hygienic. I now go for a colonic every four months. If I don't I feel sluggish/lethargic/bloated and spotty. It is a painless procedure and afterwards I feel wonderful. It is amazing what this can do for you and I would recommend everyone to have one, as you won't believe the difference it makes until you have had one yourself.